The last thing I can remember in Adelaide in 1993 was speaking to Desmond Haynes when Curtly [Ambrose] was finishing his over. I told Desmond, "If we don't win this match in this over, we are going to lose it. 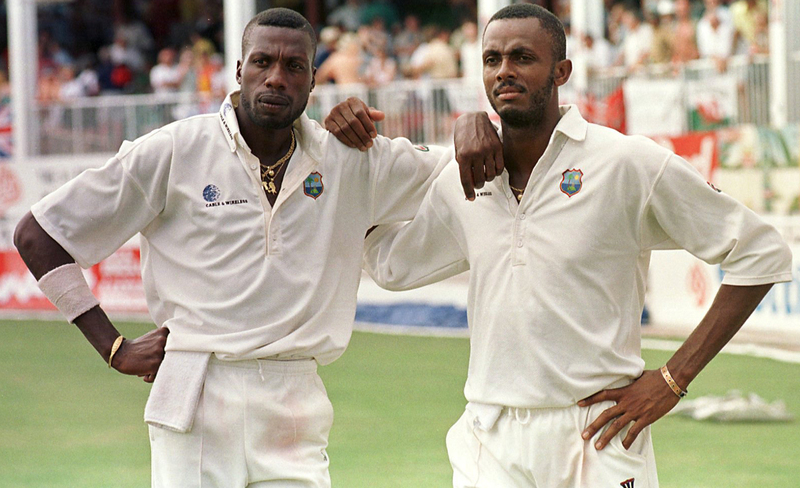 I don't think Curtly can bowl another over." The zone for a bowler is when you are at complete ease and pleased with yourself. You know what you want to do and how you want to go about doing it: the length and line you want to bowl, the batsman you are bowling to. You are comfortable with what you want to do to each and every batsman. They called me Cuddy at home in Jamaica. Viv called me Cudright, and then it was Richie Richardson. So much so that Jimmy [Adams] started calling me Rightzy, so the name changed. I think English conditions suited me more than other fast bowlers. Knowing the English batsmen beforehand was reasonably helpful for me. I left school and went to work as an accountant for two months, and then I was selected in the West Indies youth team in 1982 to go to England. From there I fell in love with the game even more. "Sometimes you could sense fear by looking into batsmen's eyes"
Getting 13 wickets in a match against New Zealand was very satisfying for me. It was on what was considered to be a flat batting track, and the number of runs the West Indians had scored made it more satisfying. Australia were fierce competitors and you always wanted to do well against them. They used to bring the best out of me. I always had a special love for cricket. When I got a chance to play league cricket in 1983, I figured this might be something I might be doing instead of a 9-to-5 job. I think it was around 1982-83 when it started to look that way. In today's cricket we don't have enough experienced players passing on their knowledge and tips to the youngsters. A lot of these youngsters just get thrown into the deep. [In Adelaide in 1993] Curtly had given it everything he had. He could barely make it back to his mark. I saw him walking to fine leg and he could barely walk. I think it gave me a little bit more spring in my step to finish it in that over, and fortunately for us it happened. It was one of the closest Test matches I ever played in. 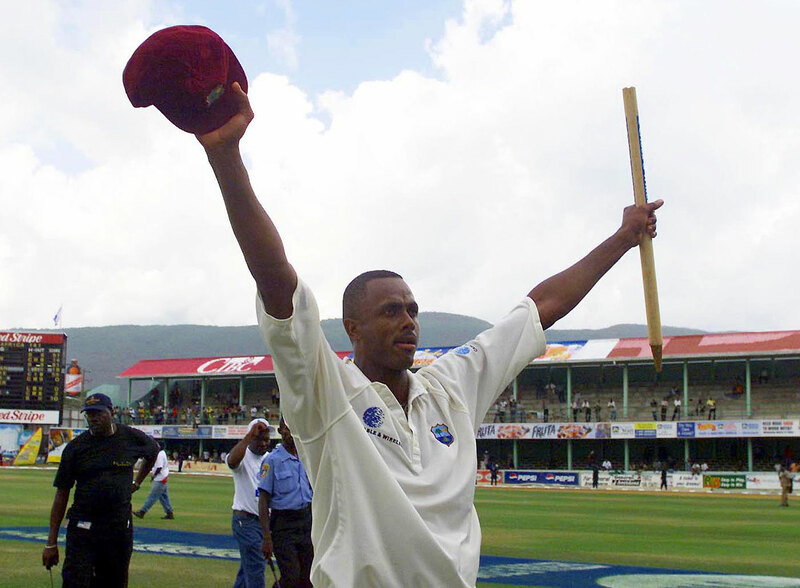 When Brian Lara scored that 375, it was probably the best thing that could ever happen to me as a captain. Everybody was so happy and proud for Brian. The Test match ended in a draw but everybody remembers it for me being captain rather than Brian getting the world record. I remember I was selected to go to England in 1984 but I didn't play any of the five Test matches. I was just there in the dressing room, making sure that Joel [Garner], Malcolm [Marshall], Mikey [Holding], Winston Davis and Eldine Baptise were taken care of. I saw it as part of my job to look after them. Just gaining the experience from them was tremendous. Sabina Park was my favourite ground as a kid growing up. An end being named after me is a tremendous experience. Unfortunately I haven't played there since they named it after me. It was a dream come true when I was selected for the first Test match in Australia [1984-85]. But then, you have to pinch yourself [to ask] if this is reality. The West Indies captaincy was a job that I was happy to do. I knew within myself that it was not going to be a long-serving job. It was something I wanted to do at that point of my career. I knew I wasn't going to be captain till the end of my career. I remember saying to Brian that as soon as he is ready, I would be happy to pass it on. When you are completely in the zone, you feel dominant. You are confident enough to back yourself. The first time Curtly and I played against each other was in a 1987 final between Jamaica and Antigua. I saw this tall guy and someone said he was going to be the next West Indies fast bowler, and that person was correct. Within the next year, Curtly was in the West Indies team. Viv was the captain who didn't like losing. He had that toughness about him. Once you get on with him and he knows you will give everything you've got, you have his support. That's a friendship and relationship we developed. "You could be the fittest person in the world, but if you are not match-fit to bowl, the fitness doesn't count"
I would let other bowlers choose their end even when I was a senior bowler. I'd pick up the slack from the other end. I would bowl from any end. Watching Clive Lloyd, Viv Richards and those guys play on TV got me very much interested and excited. When Michael Holding got selected to go to Australia - we are from the same club - seeing the way the club was so happy for him, it gave me that impetus to want to get into the team as well. The year 2000 was the best time of my career. It was the pinnacle of my fitness. That's when I understood fast bowling fully. I was in charge, and I knew what I was capable of doing. I think Brian was more nervous for me than I was for myself. I remember going out there and telling him that the only way we were going to lose that Test match [Bridgetown 1999] was if he got out, because I was not going to get out. It brought a smile to his face. Curtly and I had a dream partnership. We struck up a friendship, and then a partnership. We became closer friends, and we discussed cricket in general. We were just perfect foils for each other. Generally speaking, captaincy helped me as a cricketer. It helped me think a little bit more about the game and focus more on what's needed to be done in the middle. The ball [to Graham Thorpe at The Oval, 2000] did exactly what I was hoping it would do. It was just one of those moments the plan and execution worked together. I saw a clip the other day, and it brought back a good memory. I remember I bumped into Thorpey when we were doing something together, and we joked about that slower ball. Dujon used to catch everything for me. Viv Richards, Clive Lloyd and Richie Richardson were in the slips. Richardson was amazing, the best slipsman. People said to me that I retired too soon. I think they are correct. I could have probably played another season or two. But I chose not to. From 1998 until 2001, when I retired, that's when I felt my best. From a fast bowler's point of view, Barbados and Perth were my other favourite grounds, even though the records show that I may not have taken a lot of wickets there. It is also every cricketer's dream growing up to play at Lord's. Playing there was a tremendous feeling. In 1995 our decline started a little bit. Australia went on to do great things from then and dominated Test cricket. I don't think we have fully recovered ever since. Hopefully very soon West Indies cricket can be back on top. When we played in the nets you were trying to get picked in the Test match, so it was tough, competitive cricket in West Indies practice. "One of my favourite nicknames in Gloucestershire was Duracell, because I bowled forever"
I used to do a lot of running, and every time you run, you push yourself to do more. You think about how well you want to do in Test cricket, get into that groove and rhythm. People always say that India is not the place to bowl fast but I was pretty successful in India and Pakistan. I think it helped build you as a cricketer by bowling in unfamiliar territory. Sometimes you could sense fear by looking into batsmen's eyes or by how they are playing and foot movements. 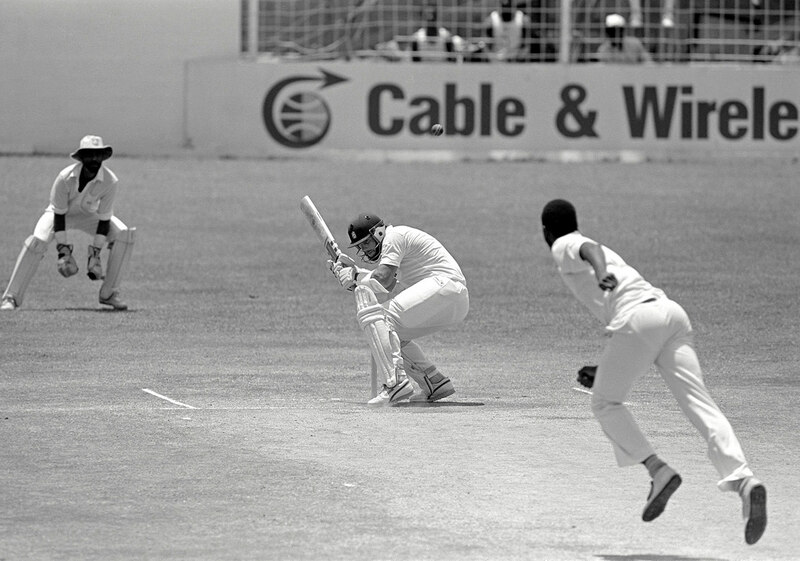 Richie [Richardson] was probably a more laid-back captain than Viv. I think Brian was a good reader of the game and wanted to be involved with it. Carl [Hooper] was more cool, calm and relaxed. You could be the fittest person in the world but if you are not match-fit to bowl, the fitness doesn't count. There are two levels of fitness - you get fit, and then you get match-fit by bowling in the nets and games. It is a proud feeling to get to 500 Test wickets. I didn't expect to get there. To be the first to 500 was a tremendous feeling for me. It was a personal bit of pride and satisfaction. In Gloucester, they called me Shorty. But one of my favourite nicknames there was Duracell, because I bowled forever. Roger Harper was a brilliant fielder anywhere. He was going to save you runs anywhere you had him, back in the day. He was going to catch them in the slips as well. I would love to have him there as well. I might have bowled fourth change, so to get 5 for 1 was tremendous. It is something you don't forget, because the heat was on. It was a good Sri Lanka team. The wicket was flat but I got couple in the stumps and a couple of nicks. It was very pleasing. People used to think I was crazy running in Melbourne. I was running to motivate myself to get into that zone, and get that much fitter and make sure I was able to do whatever I wanted to do. It helped. The series loss in Pakistan in 1997 was very bad for me. I think it was my last series as captain. Even though I was the leading wicket-taker, those wickets didn't mean much because of how we lost the series. Steve Waugh was a fighter. He might not have been as technically correct as a Sachin Tendulkar or his brother Mark, but he would fight till the end and give you everything he's got. I admired the way he played his cricket. I remember I did extra training for bowling in India, because it was hard work. I did more running and strength work so that the body was up for it. It proved to be very good for me, because I came out very well from both tours of India. "In today's cricket, we don't have enough experienced players passing on their knowledge and tips to the youngsters"
I knew I was on a hat-trick [in Brisbane in 1988] But it is the last thing on your mind, because you are thinking of getting the batsman out. So my celebration was for another wicket, but then it started to sink in that it was a hat-trick. A few people gave me stick [for not running out non-striker Salim Jaffer in the '87 World Cup], but if I was in the same position again, I would not run him out without warning him. My team-mates at the time were a bit concerned but they realised that it was just my nature. For me, Malcolm Marshall was the most complete fast bowler. I think I retired when I did because I didn't see the winning coming back. It was disappointing to keep losing and losing and losing. I didn't want to be blocking the space of a youngster too. At the time the captain, Carl Hooper, and coach Roger Harper had asked me to stay on to play a little bit more. My mind was made up to give a youngster a chance. If you back yourself, seven or eight times out of ten you will get the job done. You always made a calculative approach because batsmen are going to have days when they are in the zone and will do well. On my Test debut I didn't bowl at all in the first innings. Clive Lloyd came to me and said, "Can you bowl one over to spin around Malcolm [Marshall] and Joel [Garner]?" Michael Holding said, "No skipper, I will do it." And the rest was history. Michael got six wickets in that innings and they were bowled out for 76. I didn't play with Andy Roberts but I learned a lot from him. He came to coach when I was in Jamaica and he taught me a lot about fast bowling. I learned the most from Andy Roberts as a student of the game.